A trust that is created by a Will to provide a greater level of control over the distribution of assets to Beneficiaries, the main benefit of a Testamentary Trust is its ability to protect assets and to reduce tax paid by the Beneficiaries from income earned from their inheritance. Assets owned by the Deceased that would have been subject to Capital Gains Tax (CGT), had the Deceased sold them before their death, can pass through their Estate to a Testamentary Trust with no CGT event occurring. If the asset was a pre-CGT asset, the Trust will have a cost base of the market value of the asset at the date of death. If the asset is a post-CGT asset, then the Trust will inherit the Deceased’s cost base. This is particularly important where the assets have significant unrealized capital gains. This provides a good opportunity to “reset” the ownership of assets subject to CGT. For example, Mum and Dad own the shares in a company that is the corporate beneficiary of their Family Trust. The shares have a nominal cost base because of Trust distributions made over a number of years (and often not paid in cash). The company can become very valuable. All of that increased value is potentially subject to CGT, if Mum and Dad move the ownership of those shares during their lifetime. However, after their death, the shares can be moved to a Testamentary Trust and dividends from the company can be distributed by the Trust to a range of Beneficiaries. In addition, Trust assets can be transferred to Beneficiaries without incurring CGT. This only applies to assets of the Trust that were owned by the Deceased when they died. Income can be distributed from a Testamentary Trust to infant Beneficiaries and taxed in those children’s hands at adult marginal tax rates. This is a consequence of the Testamentary Trust being capitalized from the Deceased’s Estate. 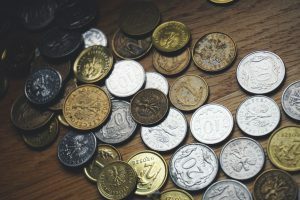 The Testamentary Trust can, over time, sell and replace the original assets that came from the Estate and the distributions to the infant Beneficiaries continue to be taxed at adult rates. The Trustee also has the freedom to buy and sell the underlying assets of the Trust (and thereby grow the value of the Trust) without losing or endangering this tax advantage. Persons who are “at risk” (including people who are drug or gambling addicted) or who are not capable of looking after any wealth that could be left to them. In such cases, the Testamentary Trust can be managed by a responsible and capable person(s) for the benefit of the “at risk” person. Testamentary Trusts are very powerful and a useful Estate Planning tool, and one that should be considered when addressing Estate Planning. For further information or advice concerning Wills and Estate Planning, contact the experienced team at Rockliffs Lawyers today.